OS X El Capitan was announced at WWDC 2015 on Monday, June 8th. And while Apple said the newest version of OS X wouldn’t be available until the fall, there will be a public beta program starting sometime in July. At the time, Apple didn't detail the system requirements for OS X El Capitan, but by the time the public beta was ready along with the information provided during the keynote address at WWDC, it was pretty easy to discover what the final system requirements were. MacBook Air: Late 2008 models (Model Identifier MacBookAir2,1) and newer. MacBook: Late 2008 models (Model Identifier MacBook4,1) and newer. MacBook Pro: Mid 2007 models (Model Identifier MacBookPro3,1) and newer. iMac: Mid 2007 models (Model Identifier iMac7,1) and newer. Mac mini: Early 2009 (Model Identifier Macmini3,1) and newer. Mac Pro: Early 2008 (Model Identifier MacPro3,1) and newer. Xserve: Early 2009 (Model Identifier Xserve3,1) and newer. Although all of the Mac models above will be able to run OS X El Capitan, not all of the features of the new OS will work in every model. This is especially true of features that rely on newer hardware features, such as Continuity and Handoff, which require a Mac with support for Bluetooth 4.0/LE, or AirDrop, which requires a Wi-Fi network that supports PAN. RAM: 2 GB is the bare minimum, and I do mean an excruciatingly slow minimum. 4 GB is really the least amount of RAM necessary for a usable experience with OS X El Capitan. You can’t go wrong with even more RAM. Drive Space: You'll need at least 8 GB of free drive space to install the new OS. This value doesn't represent the amount of free space you need to effectively run El Capitan, just the physical amount of room needed for the install process to complete. For those of you trying out OS X El Capitan as a virtual machine, or on a partition for testing, I recommend 16 GB as a bare minimum. This is enough to have the OS and all included applications installed, and still leave enough room for an additional app or three. However, for those of you installing OS X El Capitan in a real-world environment, 80 GB would be a better minimum, and of course, additional free space is always good. 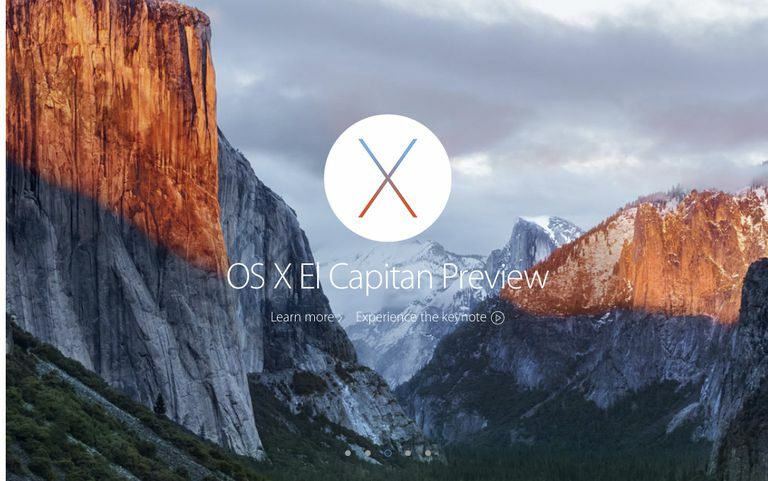 If you're running OS X Mavericks or later, then your Mac will work with OS X El Capitan. The reason why is simple: Apple hasn't dropped any Mac hardware from the OS X support list since the introduction of OS X Mavericks in the fall of 2013. Some of you like to modify your Macs; you may have swapped out motherboards or changed processors, among other possibilities. In particular, many of you Mac Pro users like to perform these types of upgrades, but it makes trying to figure out if your Mac can run new versions of OS X a bit more difficult. If you’re currently running a version of OS X earlier than Mavericks, then follow the steps below. This is a two-part process. We're going to use Terminal to find out whether the Darwin kernel at the core of OS X is currently running in a 64-bit processor space. If it is, we'll then check to see if your EFI firmware is also a 64-bit version. Terminal will return a long line of text displaying the name of the current operating system. If the text includes the item x86_64, go on to the next step. If x86_64 is not present, then you won’t be able to run the new version of OS X.
Terminal will return the type of EFI firmware your Mac is using. If the text includes the phrase EFI64, then you’re good to go. If it says EFI32, then you won’t be able to upgrade.